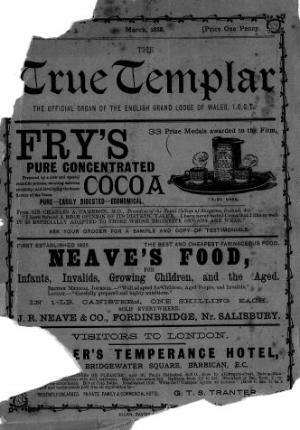 The monthly temperance publication of the English Grand Lodge of Wales of the Independent Order of Good Templars. The periodical's main contents were articles on temperance and lodge news. The periodical was edited by H. J. Osborn and D. Charles Davies.